WTXL Turkey Drive in Tallahassee, Florida to support locals in need. 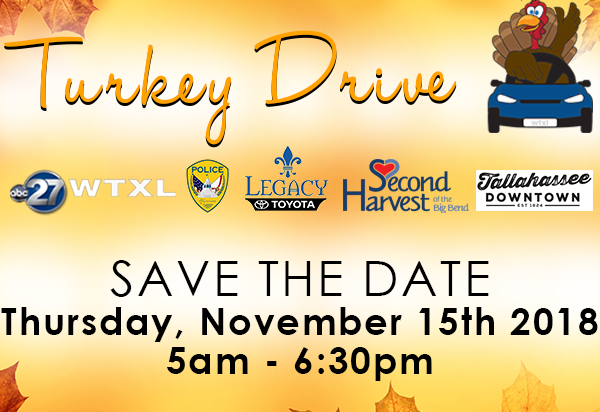 Please join us in supporting the fifth annual WTXL Turkey Drive to benefit America’s Second Harvest of the Big Bend. We will be collecting frozen turkeys and cash donations to help locals in need this holiday season. Donating is easy. You don’t even have to get out of your car. 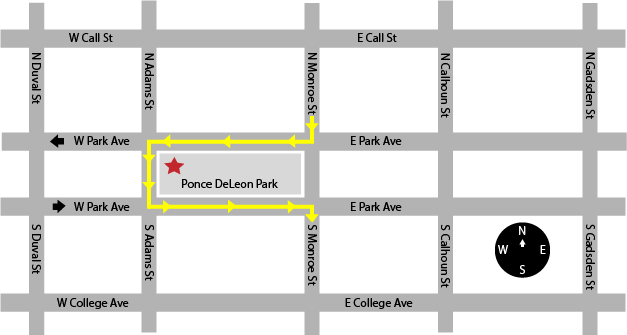 Just pull up to the curb (see map below) and volunteers will collect your donations.